that can make people laugh. Clearly Will Rogers never saw Onion Smileys! And if he really thinks onions only bring tears, he needs to check out this gallery of Onion Smileys! I bet Will Rogers would have appreciated the irony of it being both Eat Your Veggies Day and Fudge Day. I’m going to support the underdog and have some broccoli. Always willing to do my part; broccoli deserves some love, too! My reward? A piece of fudge! The great, one and only, Stan Laurel was born on this day (1890). BTW, the Smileys and holidays on a month full of Smiley Silliness are all different than the ones you see here on the website’s Daily Smiley. Today’s Smiley celebrates Camping Day with Port-a-Potty Smiley. 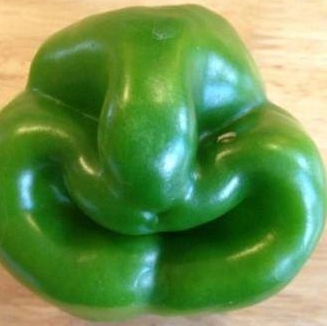 Plus, as is often the case, the Veggie Smiley you get in the Smiley-a-Day emailer is different from what you see here.